3½" wide x 3½" long Set of three nylon spatulas. Each a different size for different treats. Spatulas have a thin edge for getting underneath the treat and won't scratch your metal bakeware. Spatula handles are 4¼" long and snap together for easy storage. Set of three nylon spatulas. Each a different size for different treats. Spatulas have a thin edge for getting underneath the treat and won't scratch your metal bakeware. 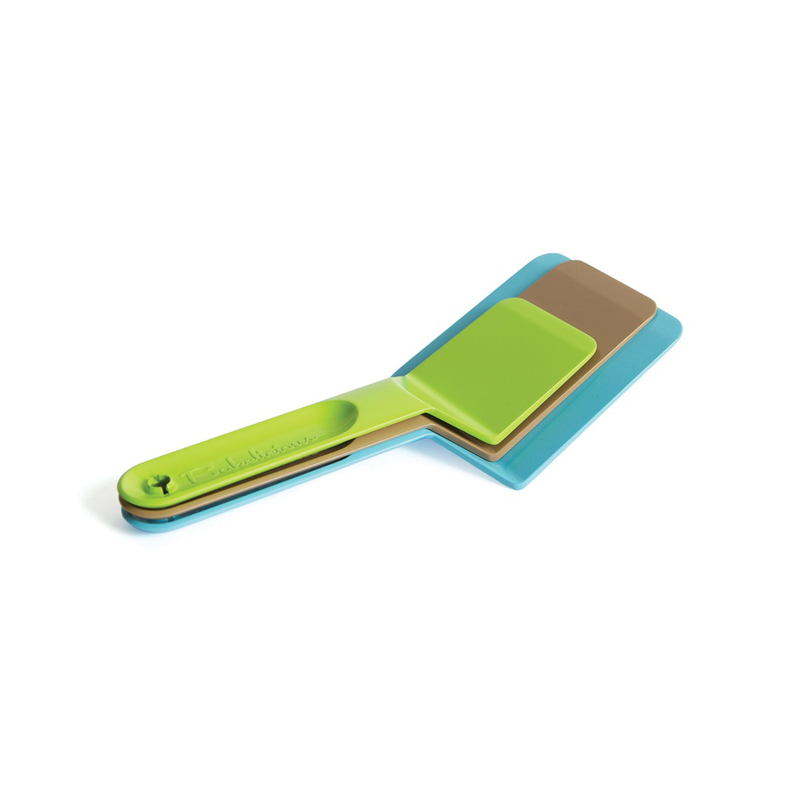 Spatula handles are 4¼" long and snap together for easy storage.